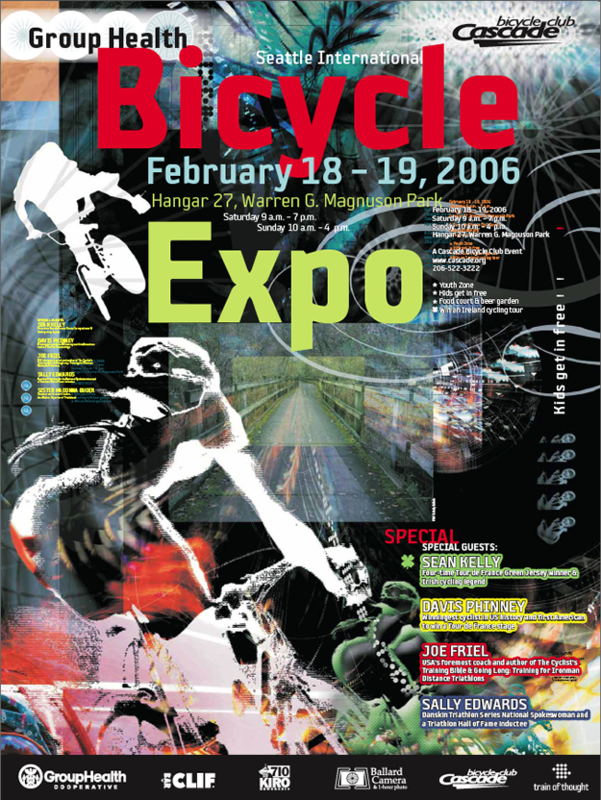 With one of our specific work samples in mind, Cascade Bicycle Club hired Train of Thought to design their poster for the Seattle Bicycle Expo. Though long past the style requested, we conjured up the creative beast within to produce just the poster Cascade sought. 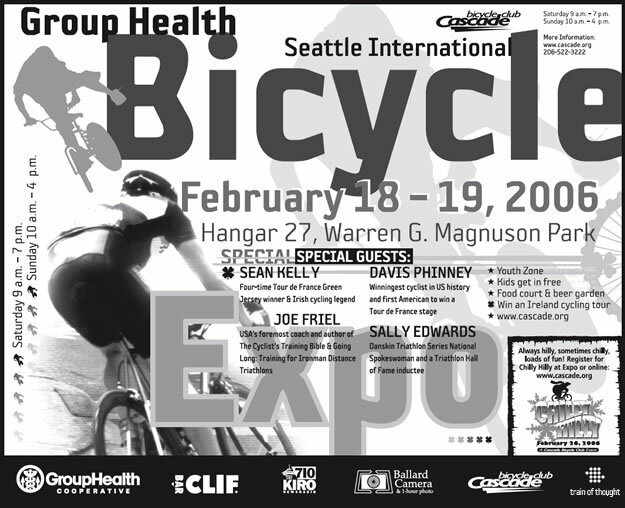 Since the poster design contained more than 140 layers, and we wanted to keep its integrity intact, we decided to become a partial sponsor of the event by donating the time required to design the event T-shirt, plus all advertising and direct mail.